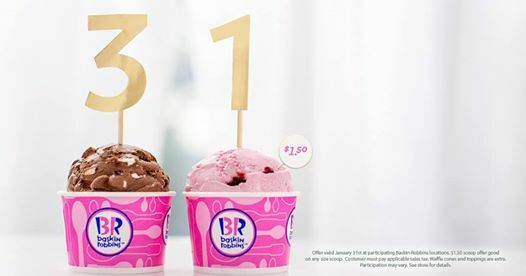 It's January 31st and that means that we get $1.50 scoops today at Baskin-Robbins. Every 31st they run this promo. YUM!